Designed for efficiency and ease-of-use. It has been proven and trusted by investors/traders/clearing firms for more than a decade. Complete trading support, both basic and advanced. Including easy to use automated trading. Supports numerous internal and external Data and Trading services. All the major data services and backend trading platforms are supported. Uses the FIX and DTC protocols for trading where possible, for the most reliable and trouble-free trading. Simple to get started and use. It is well organized with all functionality easily found. Yet it has the features and flexibility for advanced users. 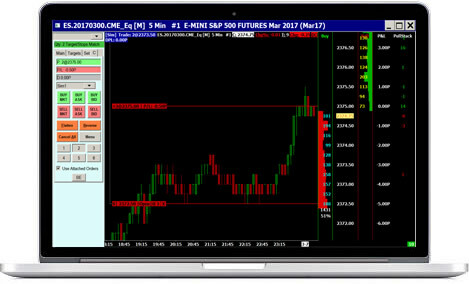 Create your own custom studies, indicators and trading systems using the Sierra Chart Advanced Custom Study Interface and Language or the built-in Excel compatible Spreadsheets. Continuously improved and expanded. Come and join us and be a part of our growing community! We are here to support you with high-quality software and services.